Hardman Signs employs an exceptionally well-qualified team of sign repair and maintenance technicians ready to provide round-the-clock renovation services of all types. 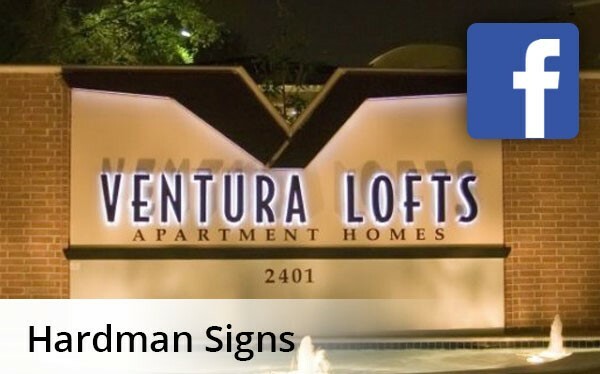 Our sign maintenance staff becomes involved in each project early in the process, and their familiarity with your signage's construction is guaranteed to make sign repair and signage maintenance easy. Our roster of equipment makes us the top name in Southern sign repair. We own a variety of types of lift trucks and other tools, allowing us to service and repair outdoor sign types - including Pylons, Monument Signs, Wall Signs, Message Centers, Awnings and more. Have a neon beer sign on it's last legs? We are the neon sign repair Houston has relied on for years. Our sign maintenance and signage repair experts are equipped for everything from software updates for electronic message boards and choreographed interactive applications to weather-related repairs. Our equipment allows us to scale any height and squeeze into any cranny to keep your signage in top shape. We serve the signage needs of the South and Southwest - so whether you're looking for Houston sign repair, Austin sign maintenance or Atlanta sign repair, we're the company for you. To learn more about Hardman Signs and our sign repair service, fill out our no-obligation quote form to receive your FREE estimate or call us today.